Warning! 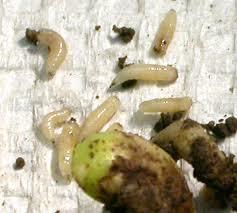 One of our agronomists has found seed corn maggot activity in the Tomah area. Please check your corn fields now to see if there is any activity. If you have not planted all of your corn yet and you are using an in furrow fertilizer, please consider using an insecticide. Included in this post you will see photos to help you identify this damaging pest. By being proactive and using Capture LFR up front you can greatly reduce the chances of this pest feeding on your corn. 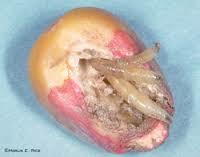 If left unchecked this pest can remove large areas of corn plants from your fields. Click on the links below for more information on Capture LFR. The link below is for some reference material from FMC on what Capture LFR is and how to use the product. I am also included a link to a tech sheet from the UW to give you some further background information on this pest. ← Join us for an Ag Technology Workshop!